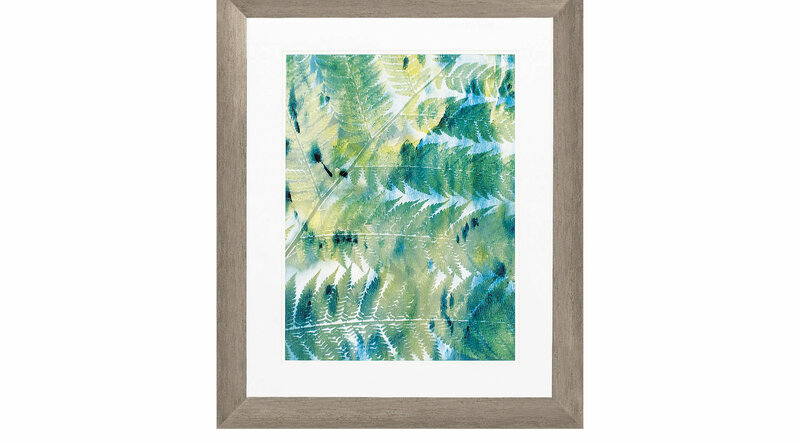 This greenery image has been double matted in white for the simplest look. It is then framed under glass with a matted champagne molding. Comes ready to hang and is hand assembled in the USA!